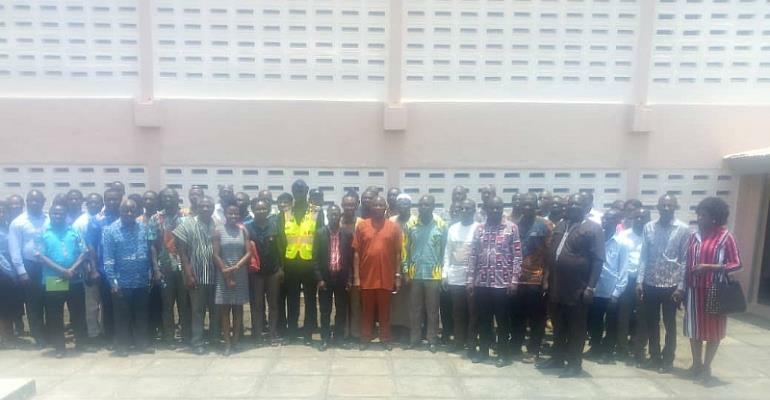 The Ministry of Transport in collaboration with National Road Safety Commission has engaged stakeholders in the Eastern Region on the proposed amendments on the Road Traffic Regulations 2012 (L.I 2180). Addressing participants, Ing. David Adonteng, from the Ministry of Transport stated that in regulation 128 of L.I 2180, it prohibits the use of motorcycles and tricycle for commercial purposes because of the dangers associated with it and therefore it was an offence for Municipal and District Assemblies to buy, register and emboss such vehicles. According to him, statistics have shown that in 2010, 210 deaths were recorded in motorcycle and tricycle accidents and the figures doubled to 437 in 2016. He noted that the figures keep rising and this has necessitated the need to look into the legislative Instrument for an amendment. Ing. David Adonteng indicated that research have shown that most of the motorcycles and tricycles were not registered, not road worthy, do not have reflectors, do not have any ownership columns, operator information and insurance. Additionally, the drivers of such vehicles do not have license; an appreciable number of them were below 12 years and about 55% were not married raising a question of responsibility. In their operation, he reiterated that most of the drivers do not wear helmet, do not stop at intersections, their movement are everywhere (walkways, roads, shoulders of the road, markets, school, etc. ), they over speed as well as over load. He therefore called on participants to study the activities of these motorcycles and tricycles and make suggestions as to whether their operation should be legalized or not. After deliberations, participants suggested that motorcycles and tricycles should be legalized because it was a source of employment for people, serves as a rapid health delivery system and the transportation of goods for those living in the hinterlands. They advocated that the age limit should be from 18 years and above, drivers should be trained at the DVLA and form groups for easy identification. Also, they should have a crash helmet and a number plate for commercial purpose. Earlier in his welcome address, the Eastern Regional Minister, Hon. Eric Kwakye Darfour remarked that the motorcycles and tricycles have become dominant in the region and the casualties they cause were alarming. He noted stated that in his tour of the region, motorcycles and tricycles also support those living in the villages because of the poor road networks.